The Special Tomato Small Hi-Low MPS Seating System is uniquely designed with contoured cushions to provide the best, customized positioning for your child within a modular system. The Special Tomato cushion technology is made from a latex free material that is peel and tear resistant. It is also impermeable to fluids, which makes keeping it clean simple and easy! The Special Tomato Soft-Touch® cushion technology is formulated to be cool to the touch and does not stick to your child’s skin. The inner foam is designed to support your child, while conforming to their body to provide hours of comfortable sitting. 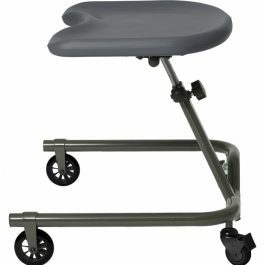 The Special Tomato Small Hi-Low MPS Seating System includes the Hip-Flex® feature found on all MPS models that allows a 30 degree range of pelvic tilt. By finding the best position for your child’s pelvis, upright sitting becomes more functional and comfortable. 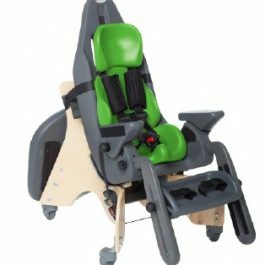 The Special Tomato Hi-Low Multi-Positioning Seat is a fantastic option for children with special needs who have moderate postural needs. 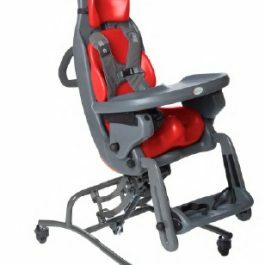 It’s designed to grow as your child does – almost every part of the Special Tomato Hi-Low Multi-Positioning Seat is modular. What’s more, the seat height can easily be raised and lowered to suit a range of activities. The modular nature of the Special Tomato Hi-Low Multi-Positioning Seat means that it can grow and develop as your child does. The Multi Position Seat (MPS) comes in 2 different sizes and there are different sizes of cushions for each of these sizes to match your child’s growing needs. 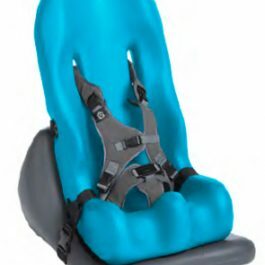 Each of these can be swapped with a larger seat and/or cushion as your child grows for the best possible support. The seat cushion offers 30° of hip adjustment, allowing for 15° of hip extension or 15° of hip flexion, for best alignment and comfort. 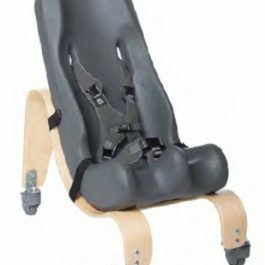 The seat can be raised or lowered to suit a range of activities. 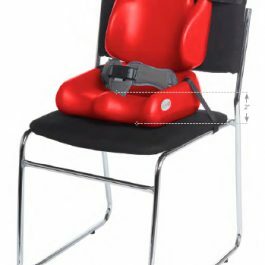 The Multi Positioning Seat cushions are made from a comfortable yet firm material which is bite, peel and tear resistant and is impermeable to fluids. 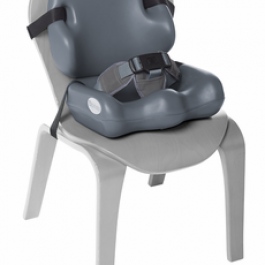 The cushions are supported by an outer shell which helps keep your child in the correct position. The cushion material is designed to withstand cracking and features several anti-microbial properties, and can easily be cleaned with common disinfectants. The Special Tomato Hi-Low Multi-Positioning Seat is available in 2 seat sizes and 2 cushion sizes for each seat. A replacement 5 point harness/lapbelt for the Special Tomato Sitter in grey. Available for size 1, size 2-3, and size 4-5. 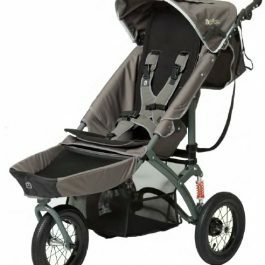 The Special Tomato® eio Push Chair is an innovative buggy which combines a classic push chair design with the support and functionality required by children with mild to moderate postural needs. 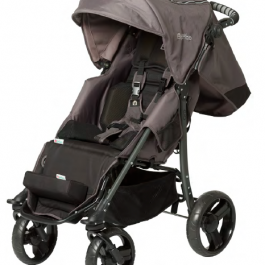 This special needs push chair, which is suitable for children from infancy up to 90lb (41kg), features padded hip and trunk laterals, a padded headrest and a 5 point harness, as well as the features you would associate with any push chair a rain/sun canopy, a shopping basket and a lightweight easy to fold frame which will fit easily into your car. For kids who need a little more positioning, the Size 1 and 2 Soft-Touch Liners and Soft-Touch™ Sitters can be inserted into the Special Tomato ® eio Push Chair. The rain cover can be purchased separately. Soft Touch Liner back in size 1, GREY colour. If you would like to purchase both seat and back click here. Soft Touch Liner back in size 2, chocolate colour. Soft Touch Liner seat in size 1, chocolate colour. Soft Touch Liner seat in size 2, chocolate colour. Seat and back liner Soft Touch Liner seat and back in size 1, GREY. In this option both the seat and back are included. Seat and back liner Soft Touch Liner seat and back in size 3, chocolate colour.